A vacation your family will never forget! Enjoy a weekend or an extended vacation at Kobey’s Cozy Cabin. 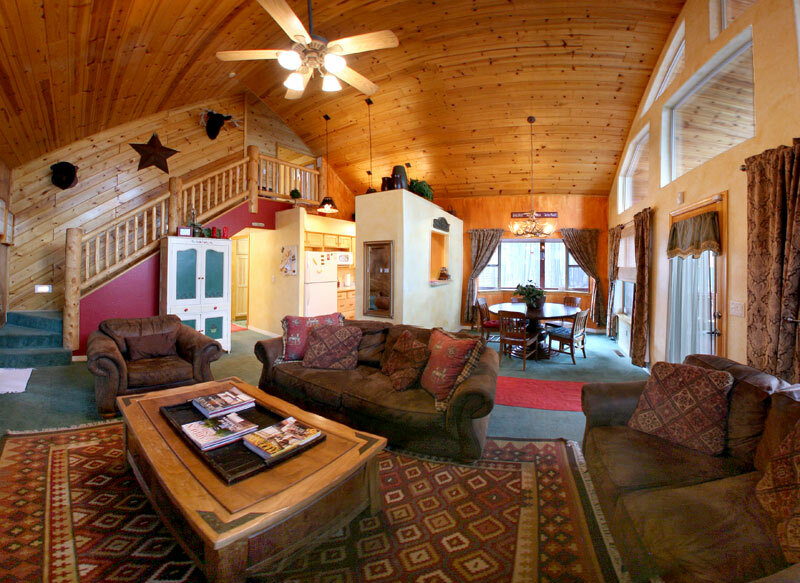 This wonderful Arizona Cabin Rental offers almost 2000 square feet of wonderful cozy comfort wrapped in cedar. This Pinetop Rental Cabin is completely furnished, and includes every amenity you’ll ever need, plus so much more. Get ready for a fantastic vacation your family will never forget! 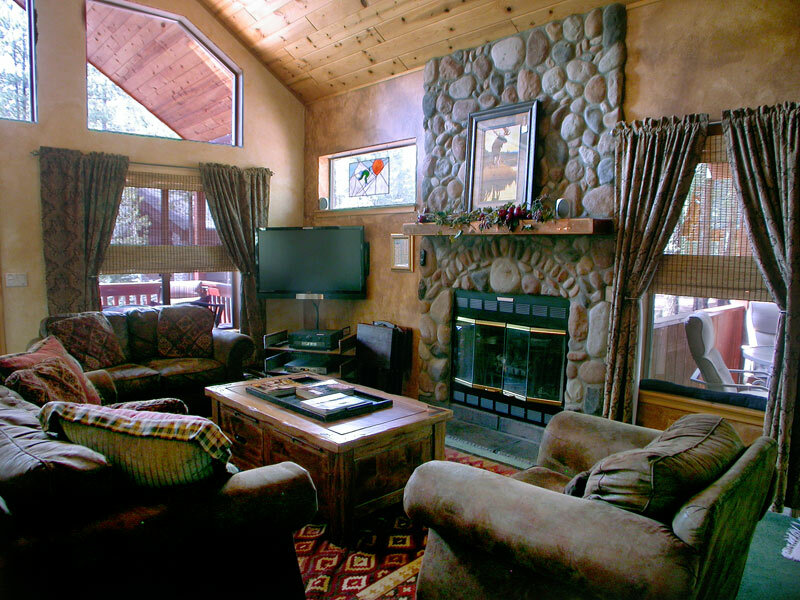 This wonderfully appointed Pinetop Cabin Rental is nestled in the tall pines of a private gated community-within the Pinetop Lakes Country Club area only minutes from all activities including snow skiing, golfing, hiking, fishing, boating, horseback riding, casino and much more. Or for a less active day, relax on one of the two redwood decks, or in the hammocks behind the cabin while listening to the whispering wind through the pines. 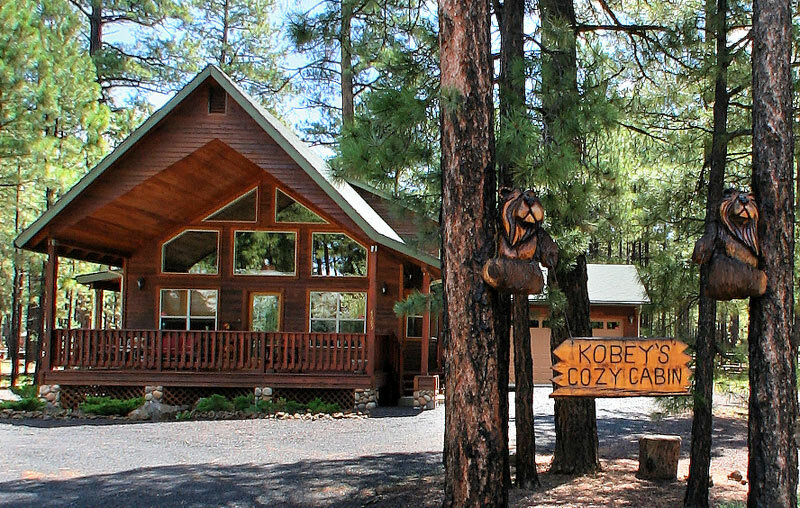 Enjoy a weekend or an extended vacation at Kobey’s Cozy Cabin. This Arizona cabin rental is completely furnished and includes all amenities plus a whole lot more. Just bring your clothes & your toothbrush for a superb vacation! This wonderfully decorated cabin is nestled in a gated community called the Timbers in the cool tall pines of the Pinetop Lakes Country Club area. It’s only minutes from all activities including snow skiing, golfing, hiking, fishing, boating, horseback riding, casino gambling, and a lot more. And for a less active day, enjoy relaxing on the 2 large redwood decks, or in the hammock located in the heavily wooded & gated back yard — while listening to the whispering winds through the pines & watching the little squirrels jump from tree to tree! Kobey’s Cozy Cabin is hands down one of the neatest cabin rentals in Arizona. This cabin can comfortably sleeps up to 7-8 in beds. There is a wonderful pillow top king-size bed in the master bedroom, one pillow top queen bed in the Victorian Room, and a full/twin wood bunk bed in the room we call ‘the bunkhouse. 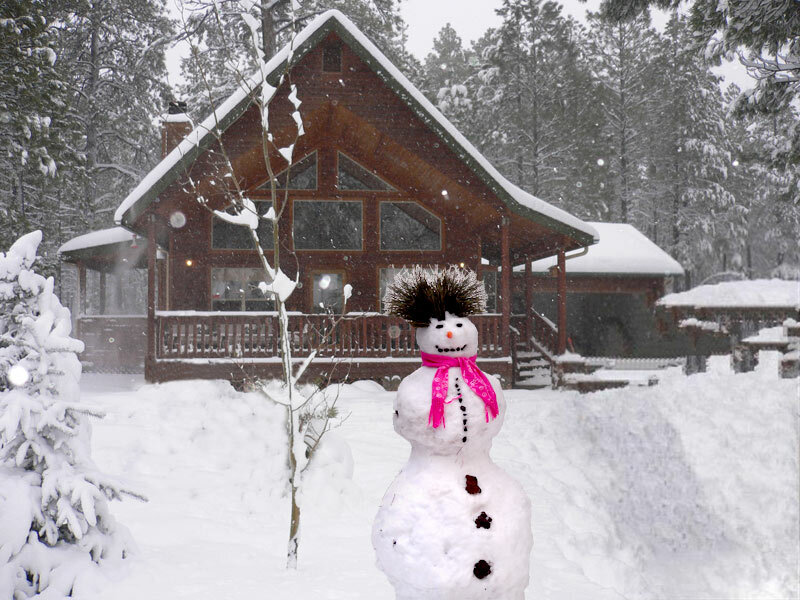 There is not another cabin in Pinetop for rent like this Arizona cabin rental! Golf: We are walking distance from the Pinetop Lakes Country Club golf course, clubhouse, & restaurant! Please View My Short Informational Video Including Sound Vacation Rental Advice From Me, Your Go To Guy When It Comes To Vacationing In Arizona! PLEASE CALL FOR SPECIFIC RATES. Christmas & New Years have a $2350.00 minimum rate plus cleaning, tax, and extra person fee after the 7th person.